SACRAMENTO, Calif. (CN) – Countering a federal proposal to loosen vehicle emissions standards, California will require automakers to meet its strict standards even if the Trump administration slashes fuel economy targets. State regulators on Friday approved a policy that will force automakers to continue producing more efficient vehicles in order to stay in California’s lucrative auto market, and offers a path for other states to implement similar laws. “Today’s vote by the board ensures that California and 12 other states will not fall victim to the Trump administration’s rollback of vehicle standards should its proposal be finalized,” said board chair Mary Nichols in a statement. The air-pollution board introduced its proposal in August, signaling California was once again prepared to fight Trump’s latest deregulation threat. 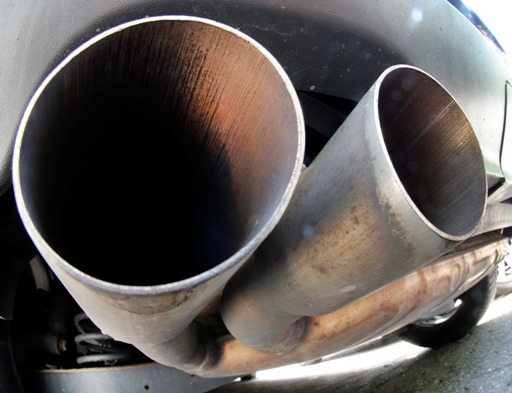 The U.S. Environmental Protection Agency has proposed a “50-state” emissions standard that it claims will clear confusion and allow automakers to produce cheaper cars. The EPA predicts cutting environmental red tape will spur more new, cheaper and efficient cars on the road. But the fed’s plan would freeze President Barack Obama’s standard requiring new cars and pickup trucks to average at least 54.5 miles per gallon by model year 2025, instead leaving in place 2020 levels which require about 37 miles per gallon. California’s leaders, including Gov. Jerry Brown and Attorney General Xavier Becerra, view the rollback as another attack on states’ rights. They argue reducing vehicle emissions is the best way to meet stringent climate goals enacted under governors Arnold Schwarzenegger and Brown and clean up the state’s notoriously bad air. For decades the federal government has allowed California to enforce its own fuel efficiency standards under the Clean Air Act. A dozen states and the District of Columbia have since implemented California’s stringent standards. The board’s action Friday affirms the “deemed to comply” provision of California’s greenhouse gas vehicle policy. In order to sell cars in California, automakers will have to abide by the strict fuel efficiency standards agreed to by the Obama administration and California in 2012, and not a new federal standard. The Trump administration is expected to finalize new emissions standards by the end of the year. Since Trump took office, Becerra has sued the federal government 24 times on environmental matters. He said earlier this week at an EPA hearing that the Golden State will continue fighting the “backsliding” of clean air standards.